Kardashians — Girls Have Legal Right to Talk Trash on Beauty Co. The KardashiansÂ have every right to trash the beauty company they once promoted, because they got royally stiffed … this according to a judge no less. Kim, Khloe and Kourtney were hauled into court by Haven Beauty, which had a deal with the girls to promote its makeup line. The product line was called “Kardashian Beautyï»¿” and everything was just fine, until the girls decided to pull the plug on the deal just before the product launch. The 3 Ks went ham on the company, claiming they had no affiliation with the company anymore and the company was trying to deceive consumers. Haven wanted $10 million in damages and an injunction muzzling the girls. But the judge just ruled Kim, Khloe and Kourtney had every right to talk trash, because Haven didn’t pay them what was owed. So the injunction was denied. The damages claim is still alive, but based on what the judge did today … it seems like it’s advantage Kardashians. 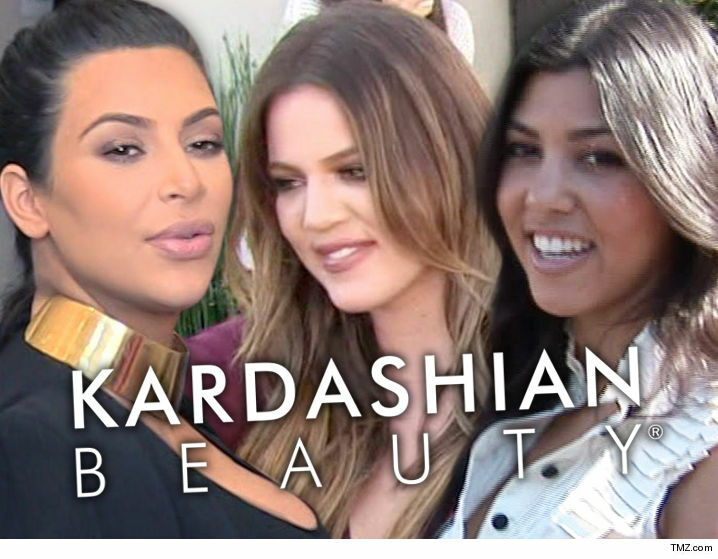 The Kardashians — Call 'Kardashian Beauty' Line Bogus … We're NOT Part of It!! !